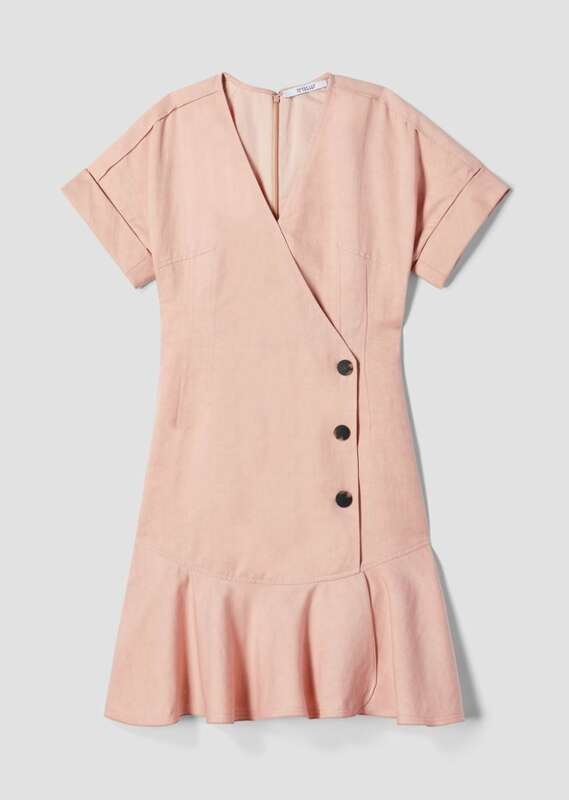 Perfect for when you're strolling the streets of the city during the warm weather season, this dress is made from a linen-blend that's naturally breathable and holds its shape beautifully. It has a slim fit and slightly nipped-in waist that's enhanced by flattering dart seams. 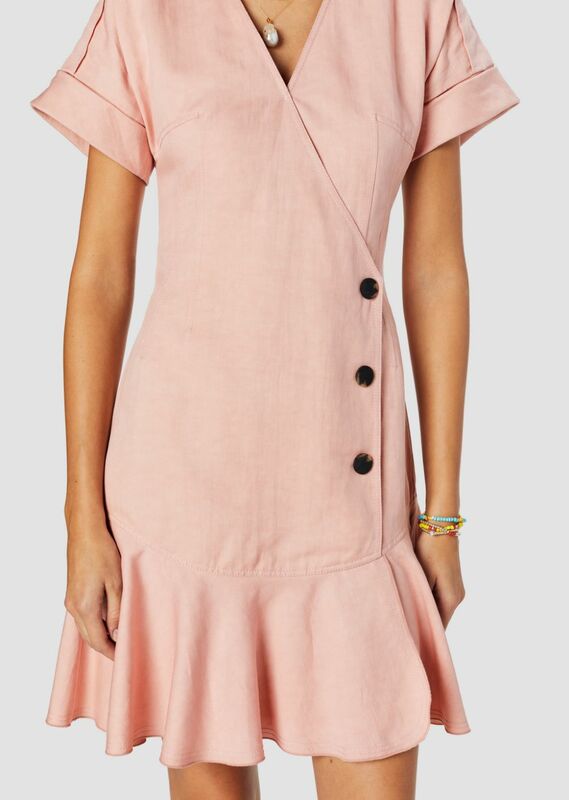 The wrap silhouette secures with three buttons and is finished with a ruffled hem.